Free online Audio Editor – Aviary.com’s Myna. Soundation — Make music online. Together with BT we’ve created a free piece of Sample Sequencing software, allowing you to remix our orchestral sample library on your computer, without the need for any specialist software or equipment. There are two versions of the sequencer – an online version with pre-recorded pieces of music from our GrooveSearch competition and a stand-alone downloadable sequencer, which contains a library of individual notes. via Philharmonia Orchestra: The Sound Exchange: Make Music: Sample Sequencer. Use Aviary’s music creator to simulate dozens of musical instruments including piano, guitars and drums. 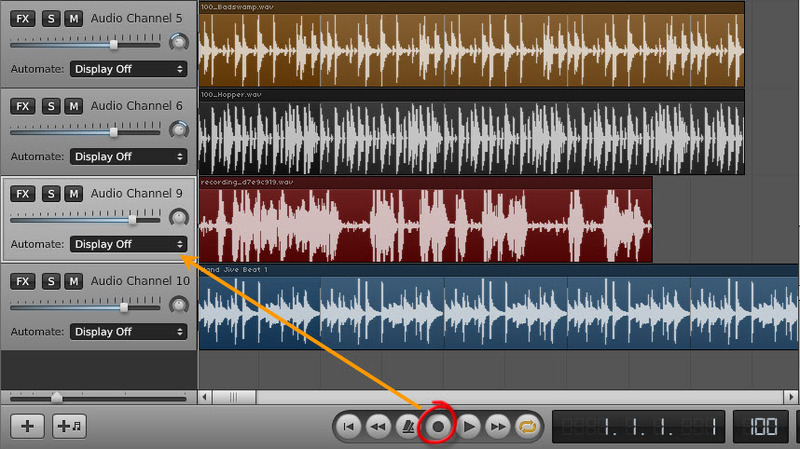 Create music loops and patterns for use in Aviary’s audio editor (Myna) or as ring tones. via Free online Music Creator – Aviary.com’s Roc. Die Online DAW Audio Sauna hat das Betastadium erreicht und ist ab sofort für alle abrufbar. Audiosauna läuft komplett im Browser und ist kostenlos. Audio Sauna erhebt dabei den Anspruch, eine vollausgestattete DAW zu sein. 2 funktionierende Synthesizer sowie mehrere Echtzeit Effekte sind bereits in der aktuellen Version 0.1 enthalten. Die Computertastatur wird beim Aufruf eines Instruments automatisch als Pianotastatur zugewiesen. Über den Mixer lassen sich nicht nur die Standardfunktionen wie Pan, Solo und Mute regeln, sondern auch die Effekte laden. Sogar AUX Send Effekte sind möglich. Audio Sauna - Online Audio Workstation.